Free webinars are an excellent way to acquire skills and information while connecting with other professionals. 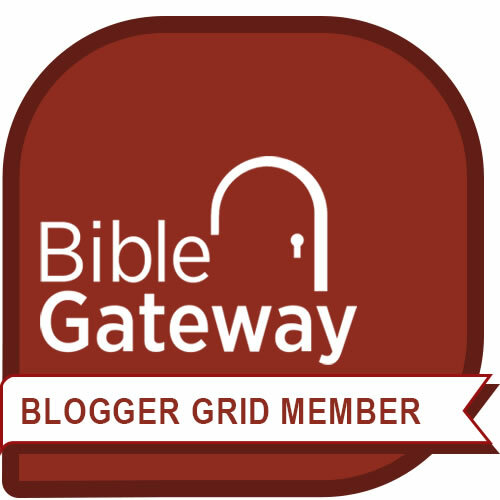 Topics address all areas of interest to bloggers, freelance writers, nonprofits, ministries and small businesses. I've attended free webinars about effective copywriting, strategic planning, getting donors, website development, online stores, using social media, journaling, email, freelance writing ... you get the idea. Short for “web-based seminar,” a webinar is a real-time, web-based presentation, lecture, workshop or seminar. 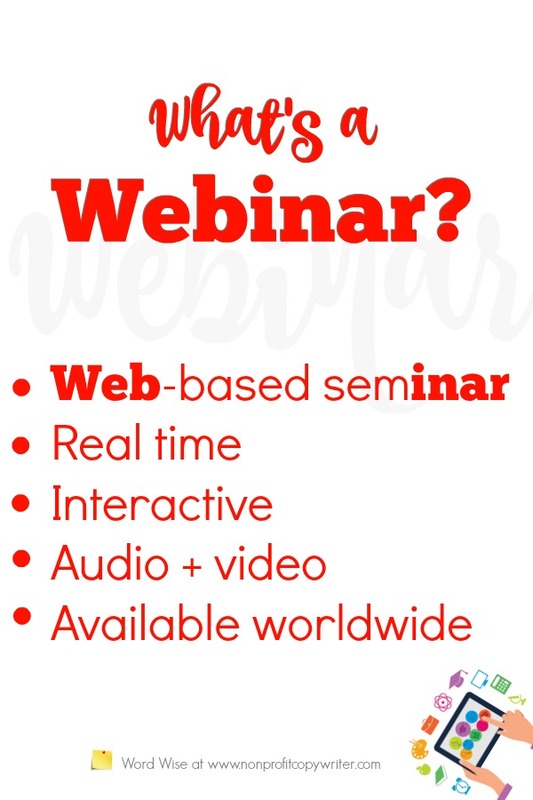 Webinars are distinctive from other internet-based presentations in that they are live and interactive. A typical webinar begins with a short intro to the topic (5-10 minutes), followed by the bulk of the content (30-60 minutes), and concluding with a Q & A via audio or chat. They're also different from other web-based presentations in that webinars combine both a visual component (slides or video, for example) as well as an audio component. Participants can attend from any part of the world, provided they have an internet connection. Typically you register online for a webinar and then receive login instructions via email. The presenter will give you a link, password, or phone number to access to log on to the webinar. Depending on what broadcast format the presenter uses, you may have to download webinar software to access the presentation. Many presenters offer a free webinar replay once the presentation is over. Free webinars give you information from experts -- at no cost. Plus, you get the chance to network with others and hear about their challenges and experiences as they write for or lead nonprofits or run a small business. Usually a webinar presenter offers a free handout, tip sheet, checklist or other form of content for you to use to apply what you've learned. As a bonus, presenters may offer a free discount on one of their products or services to those who attend the webinar. What's in it for presenters? A webinar offers an opportunity for presenters to build their platform. Keep in mind that those (like you) who sign up for a webinar are a qualified audience – you’ve demonstrated interest in the presentation topic. And you’ve handed over your email address. The presenter uses the opportunity to share his expertise as a window to continue to send you more information once the webinar is over. In many cases, this is a win-win scenario. You continue to learn about the topic as the presenter shares quality information with you on a regular basis. And the presenter continues to stay in front of you, offering his products and services. Where Do You Find and Register for Free Webinars? "How do I find a free webinar about [topic]?" I get that question a lot. Social media. Webinars are promoted in Facebook and Twitter ads. Pinterest. It's a search engine. Type in the kind of webinar you're seeking and search the results. Online groups and forums. Post an inquiry in your group boards to find out about webinars that interest you.